Park anywhere the neighboring stores Deli, sandwich or Midas. Contact us for details. We can customize the Menu according to your budget. Our vision is to offer the best quality of every dish everyday. We know old Sicilian home cooking. Cooking for our family with the best dish. To make each of your visits special, we change our menus almost everyday, Both chefs shop everyday to ensure the availability or freshness of our ingredients, prepare and cook as you order them. I read great reviews on this place and decided to give it a shot for date night with my boyfriend. Everything was exceptional- food, service, and ambiance! This is our new go-to Italian spot! Shhh! It has become my favourite restaurant. Fresh products used makes tasty 😋 meals with talented friendly chefs. Bravo Sal & Emilia. Food and service were both outstanding! My first time here - would definitely come back and will recommend to others! Wonderful Siciliana cooking. Pasta was al dente broccoli rabe cooked to perfection. Good food, personalized service, fun atmosphere = great evening out! Fresh food. Good size portions. Great chefs. Small restaurant. Worth going back to. Words cannot do this gem of a dining experience justice! No menus are given there is a huge blackboard wall telling you of all that is fresh and homemade. The pastas dishes and the gnocchi we ordered were absolutely the best. The veal parmigiana was like cutting through soft butter. This place should be on the top of your list. The food is excellent. We celebrated my wife’s birthday there and the staff made us feel like we were home. We look forward to going back without the children. Love this place! Been there twice this week; Wednesday (a “quiet night” and Saturday ( very busy). Food was excellent on both nights as was the service which is friendly and professional. No one rushes you, they take the time to explain and prepare their food and that care and time is evident in every delicious bite!! Now our favourite Italian restaurant. Fresh ingredients used to make authentic meals by talented chefs. This was the first time we ate at this restaurant. Unpretentious dining room, menu exclusively on a blackboard. Very nice service from all. The food is the star. Four different entrees and each one was excellent. Overall, the feeling is of a neighborhood restaurant in Brooklyn, the Bronx or Little Italy. Parking can be an issue but otherwise we will be back! On our second visit my husband tried gnocchi with clams . It was a “knockout”, so so good! My lobster raviolis were also very good. This restaurant will be a keeper for us . Chefs Emilia & Salvatore are so hospitable, helpful and competent. Bravo! Outstanding food and menu choices, superb service with a very homelike and friendly atmosphere! If you like home-style gourmet Italian cooking that will taste so good that it leaves you wanting more, you will love this place! The food was very good. The Cacio e Pepe was excellent. The dessert tártufo did not impress me We had to wait 30 min to be seated despite having a reservation. We were not to happy about this. Thank you for the overall review. We hope that you got to see both CHEFS serving the food for you. Who both shop, prepare and cook for the Valentine's day like your personal chefs. We LOVED our first time at Casareccio. Food, service and ambiance was excellent. However, I would say that the shank we ordered was VERY small. Portions overall are somewhat small for the what is being charged. We spent about $130 for two withOUT drinks. Fabulous food and charming hostesss. Thoroughly enjoyed our first meal here especially the stuffed artichoke. We were greeted so warmly and Emilia helped us with our selections. Definitely will return to try other selections. Excellent food and the owners/staff are very friendly. Definitely recommend this restaurant to all. Amazing! Don’t let the outside fool you. All fresh homemade, if you want something special to eat call the day before so they can pick up the ingredients as everything is bought the day of service. Warm friendly small room. Wonderful owners make you feel st home. Excellent food!!!! You know everything is fresh and it’s cooked to perfection. Love love it there! The food is wonderful and Amelia is so delightful as is her daughter Angel! The food is above and beyond ! The stuffed artichoke was delicious! We brought our friends there and they loved it too! Thank you Amelia and Sal! Dinner with friends, we shared 3 appetizers. Fresh burrata and fried burrata were excellent. Grilled octopus was very good but smallish portion to share. The 4 of us all had different pastas and they were all very good. I had the Sicilian specialty of linguini with spicy garlic, pine nuts, raisins, and bread crumbs. Flavours were subtle and tied in perfectly. My wife had the lobster ravioli and I finished off the sauce in her plate!! It was exquisite. Our friends had the pappardelle with mushrooms and truffle and linguini with Manila clams. They both said it was fantastic. We shared 2 exceptional desserts, ricotta cake and tiramisu. 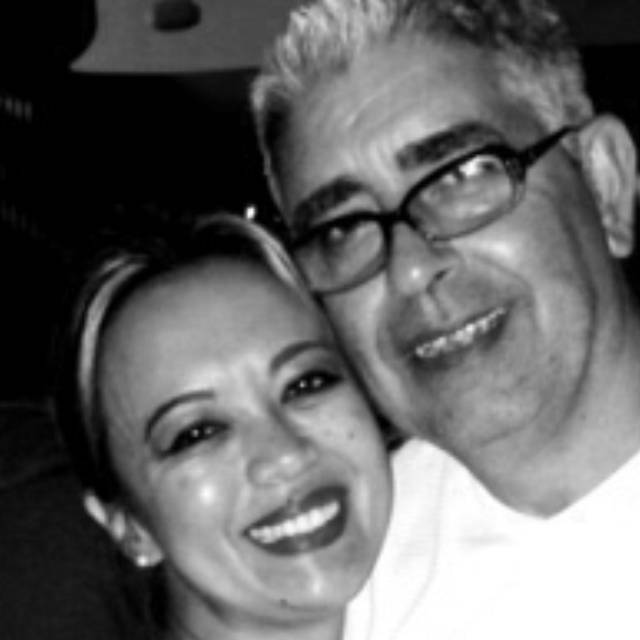 This husband and wife team really compliment each other, he’s a great chef and she is a great hostess. If you’re in the mood for comfort food with a foodie twist, check this place out! The entire experience was outstanding. Service. Reservation honored. Food excellent. Best pasta dishes. Fabulous food in a small venue. Great fresh food with a daily menu, looking forward to return. If you love a small family run Italian restaurant with fresh homemade authentic Italian dishes, this is your place!!! No menus the daily menu is on the wall and if you don’t see something you want, all you need to do is ask, unlike other restaurants at this one they love to make special orders and make your dining experience unrushed and perfect. I love this small Italian restaurant and will be back many times to come. What a delightful restaurant. We ordered three pasta dishes; pasta with bolognese, pasta with mushroom & sausage sauce and their lobster ravioli. All were prepared perfectly and wonder flavors. The wine was a good value. The staff were very helpful, friendly and made it a perfect experience. Amazing!!!!! Best italian food in South Florida! Just perfect! 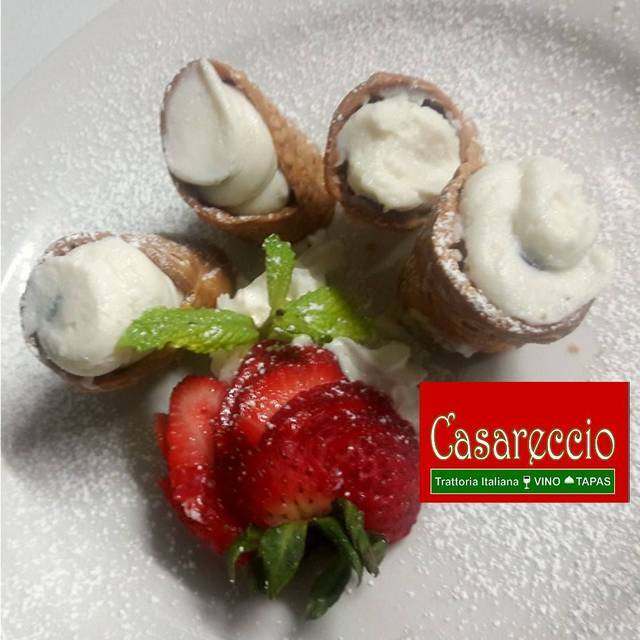 CASARECCIO is a neighborhood gem tucked away on Federal Highway between Fort Lauderdale and Pompano Beach. It is a refreshing alternative to countless cookie cutter Italian restaurants. CASARECCIO means “homemade” and this cozy, intimate establishment truly captures the atmosphere of a traditional Italian trattoria. It is decorated in a rural, rustic style with repurposed wood strips on the walls and heavy wooden tables with white butcher paper as table linens The customers are greeted warmly at the door by co-owner Emilia. The ever changing menu of offerings is based on the availability of only the freshest ingredients. The menu is relatively limited but, it includes a selection of items sufficiently diverse to satisfy most customers. That said, the kitchen offers to whip up specialty entrees with two days advanced notice. The wine list is limited but extremely well priced. Service is efficient and attentive. It was obvious that a number of customers were regulars and on a first name basis with the staff. Where CASARECCIO really excels is in the quality of the food. “Homemade” is indeed with watchword. The ingredients are the freshest available and the recipes are genuine and old world. They start you off with fresh and crusty bread with a serving of sweet and savory caponata and zesty green olives. We had the fried burrata appetizer which was rich and creamy with a delicate tomato sauce sprinkled with pecorino cheese. We followed with a plate of bucatini alla matriciana and pappardelle with porcini and salsiccia. Both pastas were homemade, included only traditional ingredients and were cooked authentically as confirmed by Chef Sal who visited to table to check on quality of the food. For dessert we chose a lemon tartufo which was light, delicate and the perfect complement to the rich, flavorful pastas. 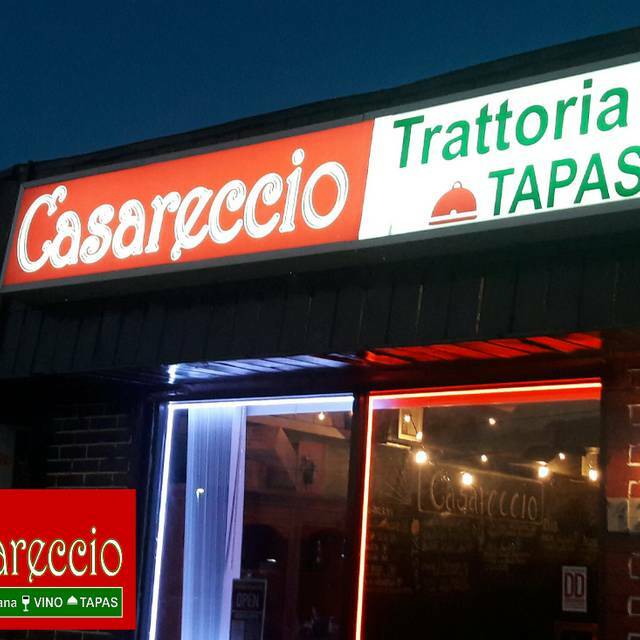 CASARECCIO offers a truly enjoyable culinary experience for anyone seeking genuine, traditional Italian food in a charming, welcoming environment. This was our third time dining here and once again everything was wonderful. My husband had the Chicken Parmesan and it has become his favorite. I had the lobster ravioli and it was delicious. Please do not let the size fool you, the food was amazing, Amelia was an incredible host. All of the food is fresh, there is no fixed menu, rather daily specials prepared just the way you like. It is a little pricey but worth every penny. If you have someone special in your life that you would like to have that WOW experience, this is the place. We were very disappointed after reading good reviews. The location in an almost vacant strip mall was sketchy. From the moment I walked in all I could smell were cheap cleaning agents—maybe reassuring to some, but rather nauseating and they lingered. I wanted to smell garlic and fresh bread but all I smelled were the floors. The menu was limited, which was to be expected. But the prices were outrageous. A VERY small portion of chicken Park was $35 with no salad or anything- just bread which we had to ask for. Our server was polite but not knowledgeable. The wine list was generic so we brought our own. They charged $15 corkage only to open it and bring us glasses. Our server never returned to pour another glass. Same with the water. We had to ask and then they just plunked a bottle down in front of us. No one ever poured it for us or filled our glasses. It is a tiny place. It is not as though they lost track of us! They also sat another couple at our table when there were other tables Ava. Not cool. It was our anniversary and we really didn’t want to hear their conversation or them ours. All in all it was a regrettable and expensive outing with ok food and mediocre service. We will not be back. 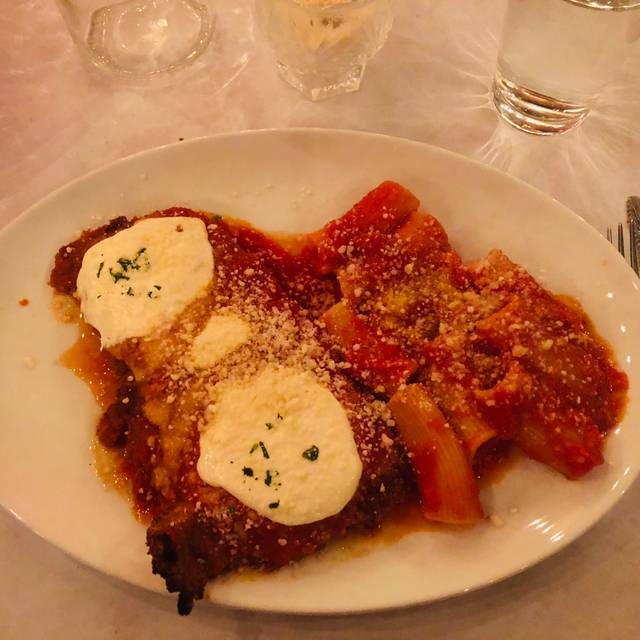 As longtime customers, we can say with certainty that Casareccio is one of the finest Italian restaurants in the greater Fort Lauderdale area. Ingredients are fresh and the menu changes daily. A must try is the lobster ravioli, with it's creamy tomato sauce. Service is 1 st. Class with a warm smile. Treat yourself and try this gem in Pompano Beach. You won't regret it!!!! 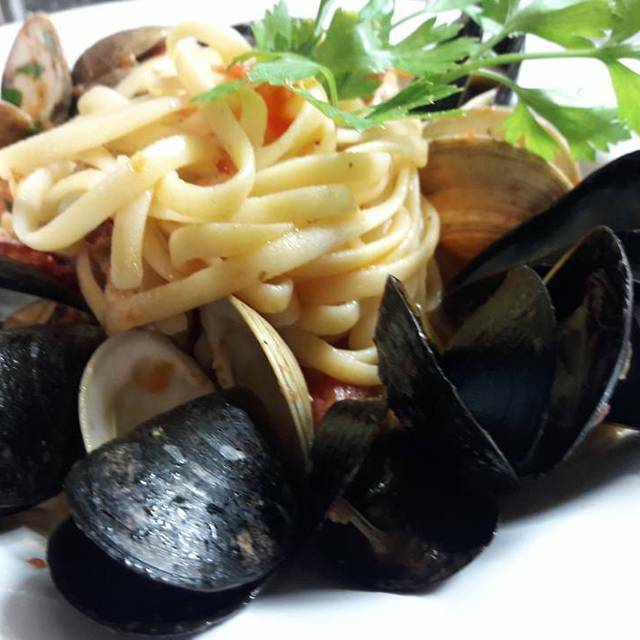 Casareccio's is a great place to get homemade Italian food in a cozy atmosphere. The menu changes daily and both times we have been there the food has been excellent. It is a very small place so I recommend making a reservation. Also note that if you have more than 6-8 people in your party, this place may not work for you. The service is personal and you can tell the waitress is invested in the experience. Overall this is a standout in a sea of Italian restaurants in the area. The owner makes everyone feel at home. Will definitely go back.